We set strategy and tactics to move communications and fundraising activities to an integrated marketing model, driven by the web and a new brand identity. 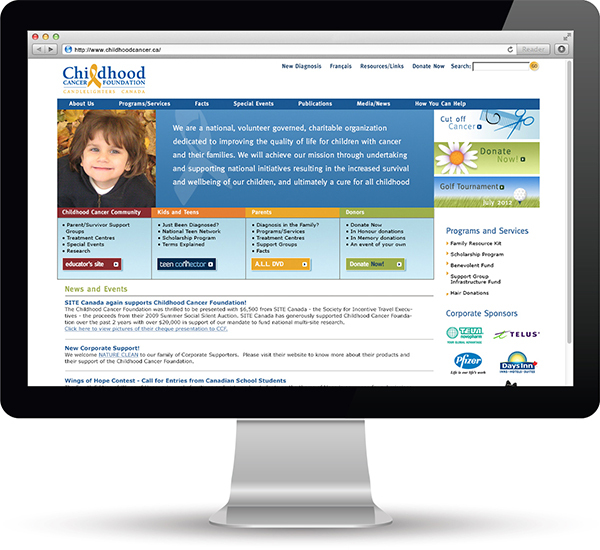 The project involved creating a new online identity, website, and email templates. 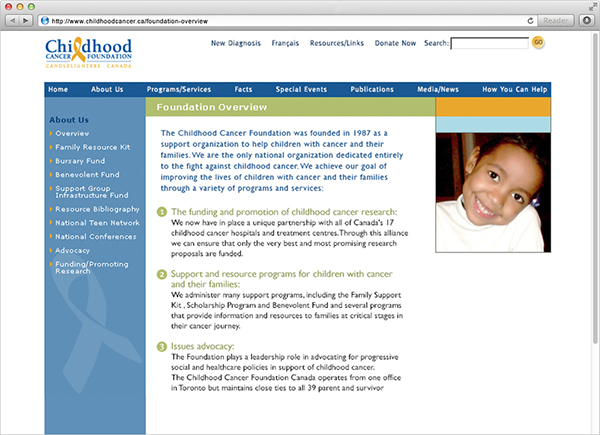 The site was designed primarily with children and their families in mind. Images were focused on survival, and celebrated real children.